New. Ludwig Mies van der Rohe (1886-1969) was one of the founding fathers of modern architecture, and creator of the Barcelona Pavilion (1929) and the Seagram Building in New York (1954-1958). 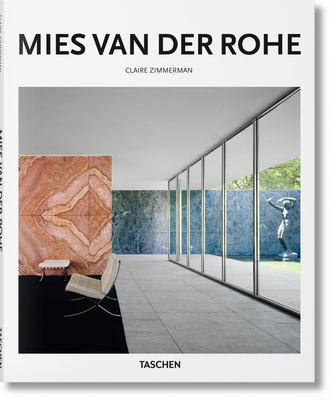 This book explores more than 20 of his projects between 1906 and 1967, from his early work around Berlin to his most important American buildings. Num Pages: 96 pages, illustrations. BIC Classification: AMB. Category: (G) General (US: Trade). Dimension: 220 x 267 x 14. Weight in Grams: 588. 2015. Hardcover.....We ship daily from our Bookshop.